Summer is for sticky fingers and messy snacks, can I get an amen? It's also for trying to eat protein and fruit. (As always.) 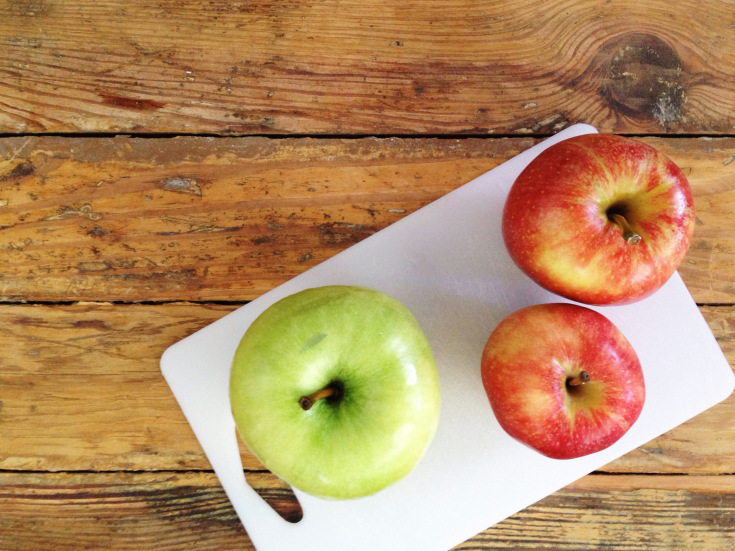 I'm as eager to eat 12 donuts as the next girl (jk, I'm way more eager than her), but sometimes you just need something healthy before a hike. Or on a hike. Or at a day at the lake. 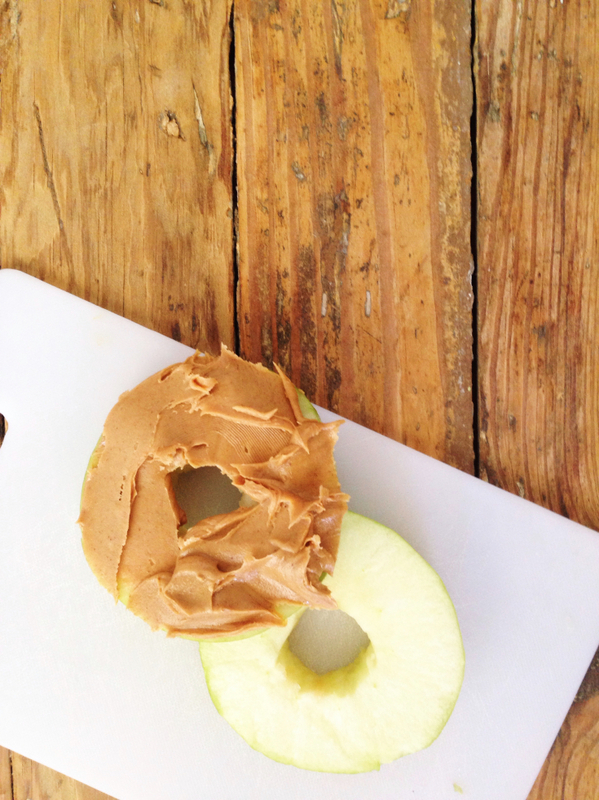 You've probably tried apples with peanut butter before. (If you haven't, what have you been doing with your life?!) 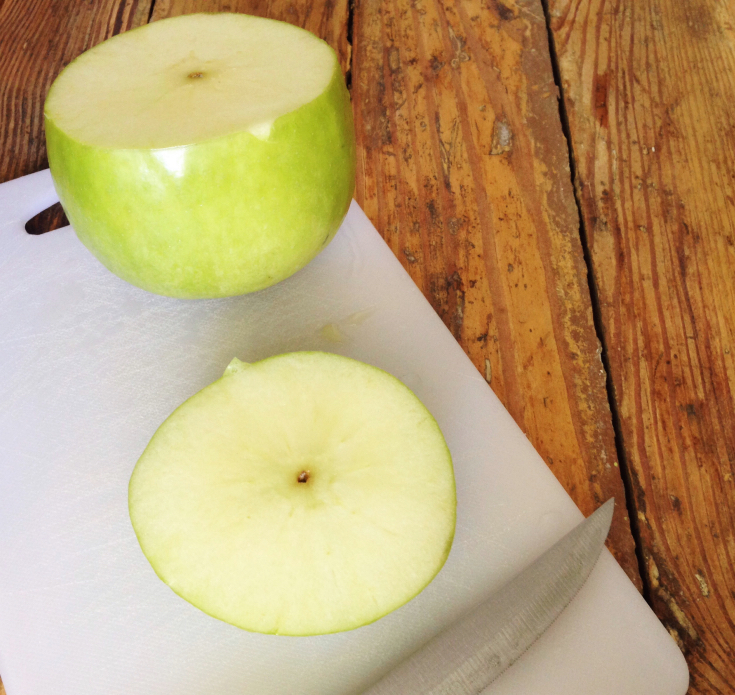 This is that snack, but better. 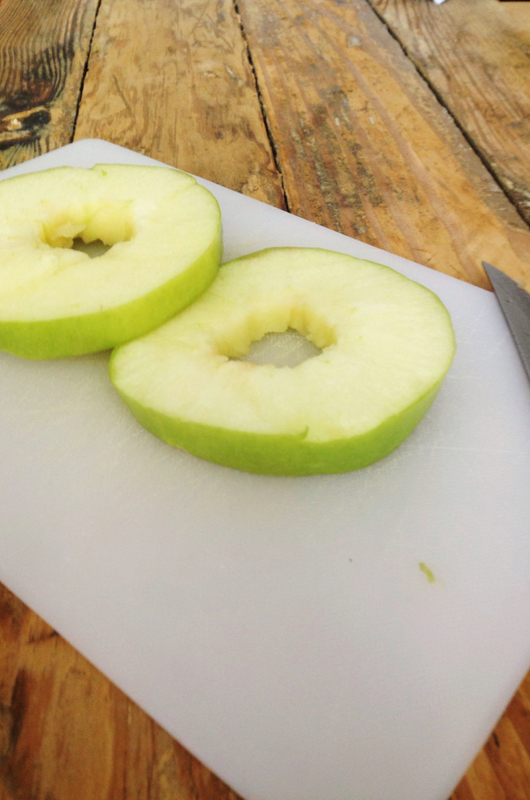 Get any sized apple and cut 2 slices of it from the middle--the thinner, the easier to eat. 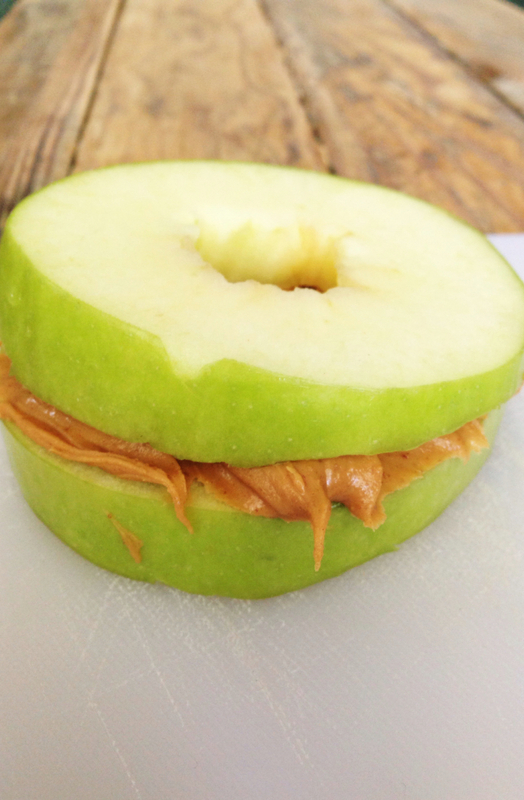 (My apple slices were a little on the thick side, which made the PB squeeze out more when going to take a bite. Oh well!) 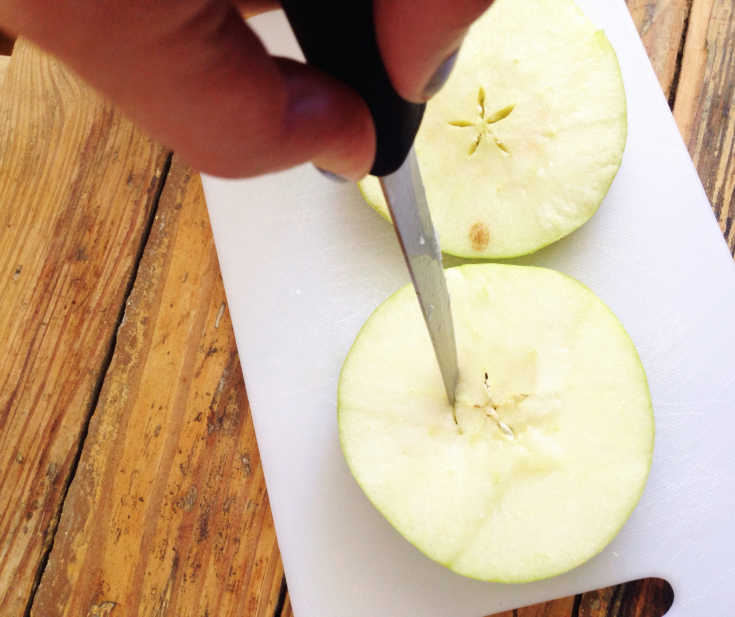 Cut out the seeds from the center, leaving a small hole in the apple slice. 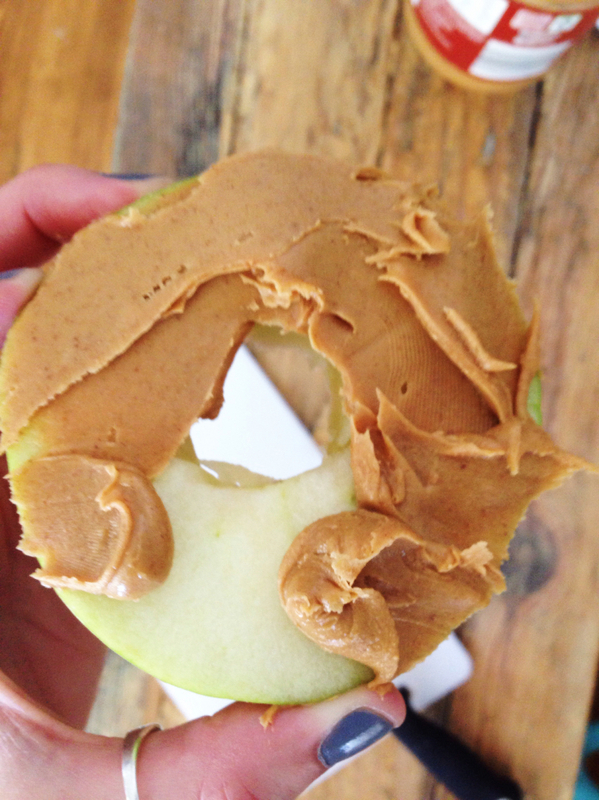 Slather the peanut butter on one slice and top it with the other apple slice! 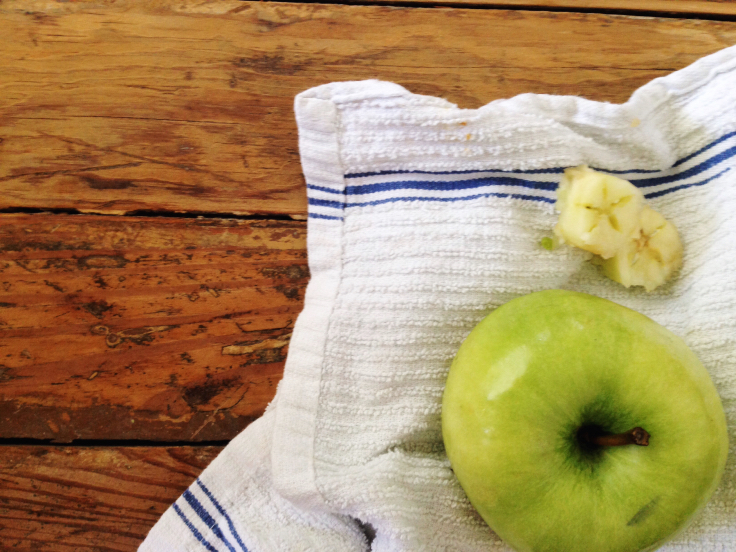 This would also be great in the fall when so many types of apples are in season. 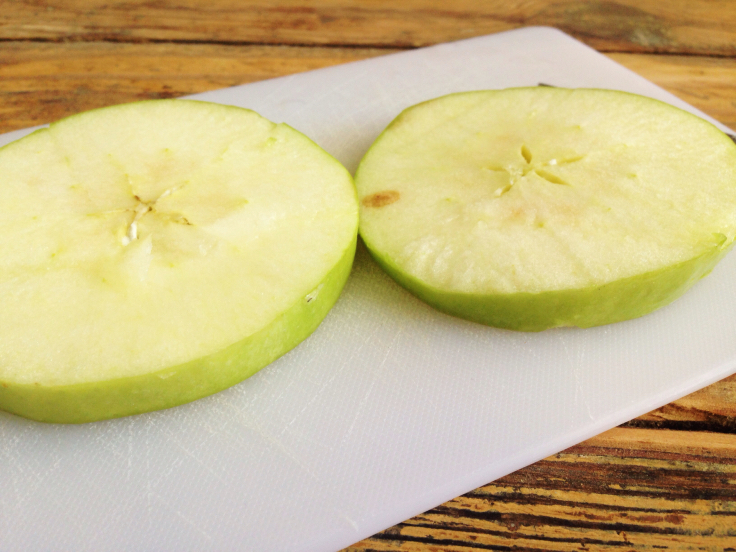 What are your favorite summer snacks?